The Asus Zenfone Max Pro M2 will get Android 9.0 later this year, but those adventurous enough can already join the beta upgrade program. However, the beta testing comes with a catch: Asus will not provide downgrades and cannot be held liable for any potential damage or data loss that may occur during this stage. The Asus Zenfone Max Pro M2 has not been available for too long, but it already proved itself to be a rather popular alternative to mid-range handsets like the Xiaomi Note 6 Pro or the Honor 10 Lite. Released back in December 2018 with Android 8.1 Oreo onboard, this 6.26-inch notched device is now on its way to the Android 9.0 Pie realm. Last week, Asus India posted the following message on Twitter: "We wish to grow stronger and better with you, the Zenfone Community. Your feedback & inputs matter, and will eventually lead to the official release of Android Pie. Besides, pies taste best when shared with the whole family, right?" The only problem with the aforementioned Android Pie beta program is that no upgrades will be provided. 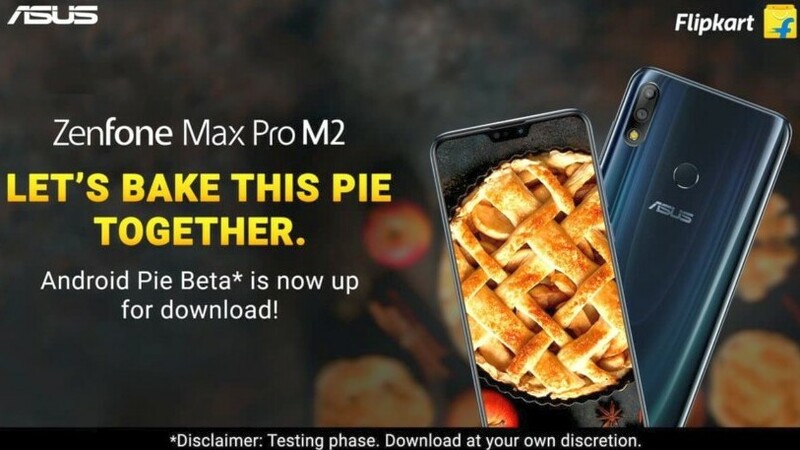 Obviously, Asus cannot be held liable for the data loss or even hardware damage that might hit those testing the Pie update on their Zenfone Max Pro M2. Those looking to join the beta program despite the risks need to accept the terms and conditions and wait to be selected. Once that happens, they will receive a download link for the beta firmware file. After installing the new software, providing feedback to Asus will help the company to iron out the bugs and bring the update to everyone faster.